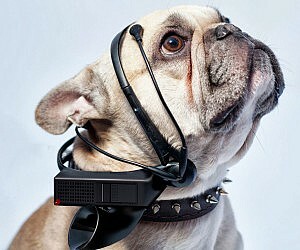 Deepen the bond you have with your canine companion with this dog thoughts translator device. It analyzes animal thought patterns to translate their brain activity into human language. It’s mostly thoughts of eating cat poop and chasing squirrels though.